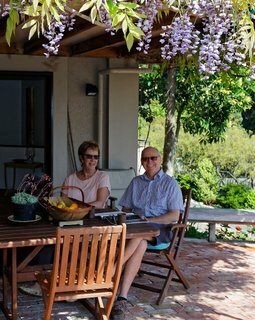 We are Martin and Diane Everton and have lived in Little Kaiteriteri since 1997, and love it, as you will. Previously we were sheep and beef farmers in the North Island, where we were part of a group of farmstay hosts for seven years. Our interests include travelling, fishing, golf, music, Rotary, Toastmasters, skiing, tennis, walking and reading. Little Kaiteriteri beach is a safe swimming beach with clear blue water and golden sands. We would be delighted to help you plan your time here, but if you want 'time-out' and privacy, we are happy to oblige. Once you arrive you will never want to leave - it's paradise! We have no pets and are non-smokers.